Kings Head Bawburgh01603 744977work InnNestling in the heart of the picturesque village of Bawburgh, The Kings Head is a 17th Century Freehouse pub, restaurant & Inn. Owners for more than thirty years, Anton Wimmer and his family pride themselves in their reputation which has stood the test of time as they have adapted to this ever-changing industry. Recent accolades from the 2AA Rosettes for Food and 4 Gold stars for their boutique rooms are testament to this. The Kings Head boasts six new boutique rooms which are grand, yet relaxing with a decor of chandeliers, huge gilded mirrors and original features. Traditional beamed ceilings feature throughout the rooms but each has their own luxurious touch. Beautifully appointed, with original timbers and trusses, yet top quality ensuite with large power showers, double ended baths, traditionally hand stitched beds and super soft bedding. 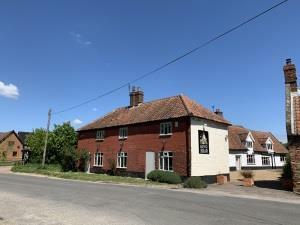 The Kings Head Bawburgh has its menu and philosophy firmly rooted in local markets. From a close relationship between well-established local produce suppliers and Head Chef Leigh Taylor, is born a monthly changing a la carte menu and a daily changing specials board packed with proper pub classics with imaginative, local twists. Leigh Taylor and his talented team prepare and beautifully cook with the finest seasonal local produce available, to produce their ever evolving menu's. The Kings Head invite you to enjoy a pint or a glass from an extensive range of local real ales, lagers & carefully chosen wines. Nestling in the heart of the picturesque village of Bawburgh, The Kings Head is a 17th Century Freehouse pub, restaurant & Inn. Owners for more than thirty years, Anton Wimmer and his family pride themselves in their reputation which has stood the test of time as they have adapted to this ever-changing industry. Recent accolades from the 2AA Rosettes for Food and 4 Gold stars for their boutique rooms are testament to this. Relax and enjoy the traditional feel of the inglenook fireplaces, wood burners and low beamed ceilings along with delicious food from the 2AA rosette restaurant.